Kathryn Edin is Professor of Sociology and Public Affairs at Princeton University. 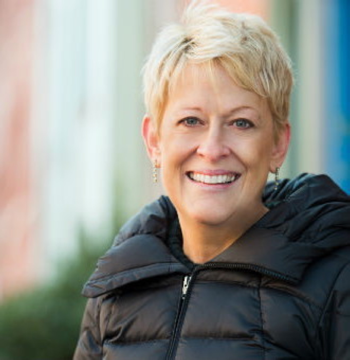 She is the author of several widely praised and award-winning books including, most recently, $2 a Day: Living on Almost Nothing in America, which was written with H. Luke Shaefer and was published by Houghton Mifflin Harcourt. The book was awarded the Hillman Prize for Book Journalism and was shortlisted for the Robert F Kennedy Book Award. Kathy is a Trustee of the Russell Sage Foundation and on the Department of Health and Human Services advisory committee for the poverty research centers at Michigan, Wisconsin, and Stanford. A founding member of the MacArthur Foundation-funded Network on Housing and Families with Young Children and a past member of the MacArthur Network on the Family and the Economy, she became a member of the National Academy of Sciences and the American Academy of Political and Social Sciences in 2014. Kathy’s other books include Promises I Can Keep: Why Poor Women Put Motherhood before Marriage, written with Maria J. Kefalas, which the University of California Press published in 2005, and which was awarded the William G Goode Book Award. With Timothy Nelson, she published Doing the Best I Can: Fathering in the Inner City with the University of California Press in 2013, and the University of California Press also published It’s Not Like I’m Poor: How Low Income Parents Make Ends Meet in a Post-Welfare World, which Kathy wrote with Sarah Halpern-Meekin, Jennifer Sykes, and Laura Tach. Making Ends Meet: How Single Mothers Survive Welfare and Low-Wage Work, written with Laura Lein, was published by Russell Sage in 1997. The book won honorable mention in the American Sociological Association Distinguished Publication Award. Before joining the faculty at Princeton, Kathy taught at the Johns Hopkins University, Harvard University, where she was chair of the Multidisciplinary Program in Inequality and Social Policy, Rutgers University, Northwestern University, and the University of Pennsylvania.